The Astoria Boulevard station will be closing in March until the end of the year in a major nine-month overhaul that includes road closures below and service changes along the line. Representatives from the Metropolitan Transportation Authority presented plans for the 102-year-old station in a meeting last night hosted by the Old Astoria Neighborhood Association, which follows the recent reopening of the Broadway and 39th Av stations. The two stations, along with the 36 Av and 30 Av stops, were selected in 2016 to undergo several months of renovation work under a citywide plan spearheaded by Governor Andrew Cuomo. Last year, the MTA said the Astoria Boulevard station would close for its own overhaul soon after the Broadway and 39 Av stations came back online. The station, which has already undergone extensive work beginning last June, will be completely transformed after its many months of work. It will see its mezzanine entirely demolished and rebuilt, its stairs and platforms replaced, and a total of four elevators installed—making the station one of the handful of ADA-compliant stops in the system. 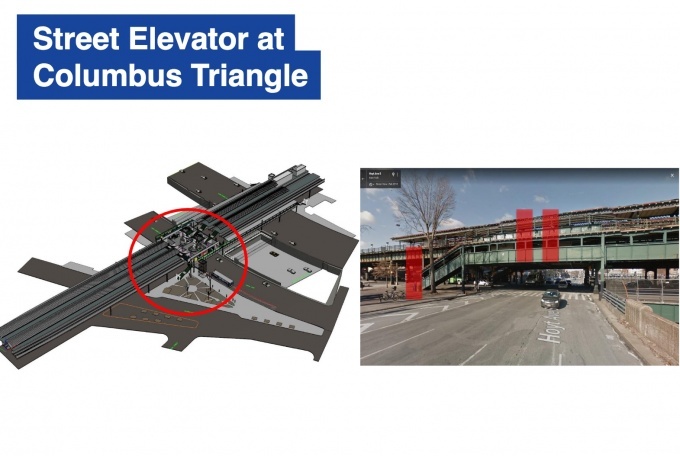 One street-to-mezzanine elevator will be built at Columbus Triangle, and another at the intersection of 31st Street and Hoyt Avenue North. The mezzanine will then connect to the platform with another set of elevators. The elevators, however, will only begin to operate in August 2020—eight months after the station reopens at the end of this year. The underside of the mezzanine will also be raised, with the roadway below to be lowered by several inches in order to prevent a long-known issue—trucks off the Grand Central Parkway hitting the bottom of the station. The platform and some street level fixtures, including light posts, signs, garbage bins and Hurricane Sandy-damaged canopies will also be replaced. More artwork, additionally, is slated to adorn the station, with colorful panels to be installed on large parts of the mezzanine walkway and in the stair enclosure on the platform. The artwork, however, has yet to be selected. Aside from impacting daily users of the station, the work will also mean changes to traffic flow on 31st Street. During work hours—weekdays from 9:30 a.m. to 2:30 p.m., and weekends from 7 a.m. to 8 p.m.—31st Street between Hoyt Avenue North and Astoria Boulevard South will be reduced to one lane in each direction. Hoyt Avenues North near the station will see four travel lanes and one bus lane at all times, while Hoyt Avenue South will maintain five travel lanes. Traffic enforcement agents will be set up to help guide vehicles. The intersection of 31st Street and Hoyt Avenue South, furthermore, is anticipated to close for 20 unspecified weekends due to the nature of the station’s work. The closure covers 31st Street between Astoria Boulevard South and just before Hoyt Avenue North, with Hoyt Avenue South will close between 29th Street to about 33rd Street. The MTA has planned reroutes for drivers during the intersection closure, with signage, traffic enforcement agents, and crossing guards to be set up. While exact times are still being worked out for the 20-weekend closure, Wagh said it will likely cover Friday nights to early Monday mornings. The MTA will also perform track work during the station closure that will result in no N/W service north of Queensboro Plaza for approximately 13 weekends. Six weekends covering parts of March through June have already been identified, with the rest still to be determined. Shuttle buses will be provided during the weekend service changes. 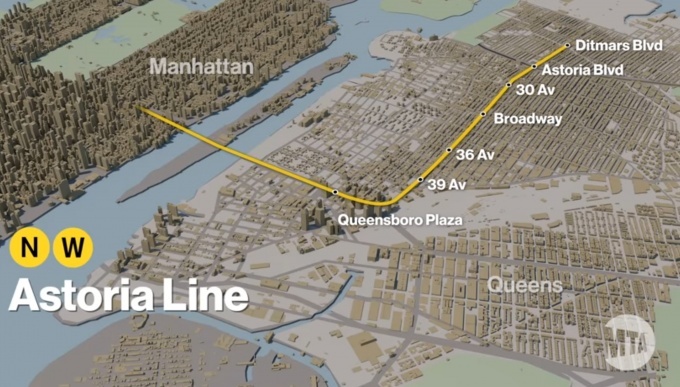 The track work will also require Astoria-bound N trains to run express on weekdays from the Queensboro Plaza station from February to April. The trains will go directly to the Astoria Boulevard station between 9:45 a.m. and 3:30 p.m. until the March closure, and head to Ditmars Boulevard once work on Astoria Boulevard begins. 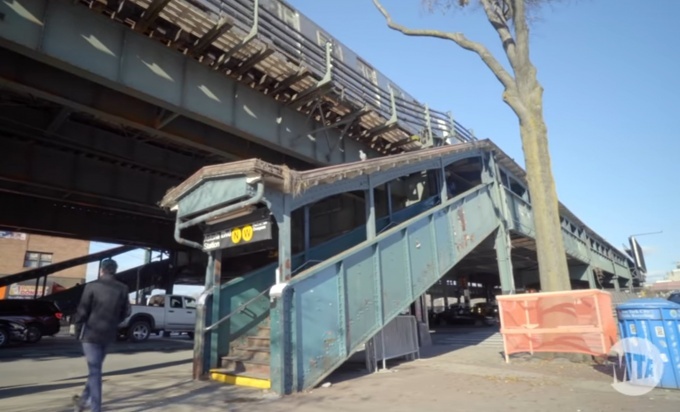 While the Astoria Boulevard station will reopen in December, some work will still go on at the stop afterward, with full completion expected for November 2020. The station’s overhaul comes after riders of the line have had to deal with full closures lasting several months on practically all Astoria stops since 2017. But the prospect of having elevators in the station, which came after much campaigning from local leaders and disability advocates, has made the overhaul highly anticipated. To coincide with the station’s closure, the MTA has launched a new webpage detailing its work toward “a renewed Astoria line,” featuring information on the recently renovated stations and continuing projects along the way. More information is also available on the webpage on the Astoria Boulevard overhaul, including impacts to traffic and service. Hey! Here’s an idea! Take all that money and Fix the signal problems that delay my ride on the N/W everyday. Put in an elevator and leave the station the way it is. We need better running subways, not better looking stations. Hey but who am I? 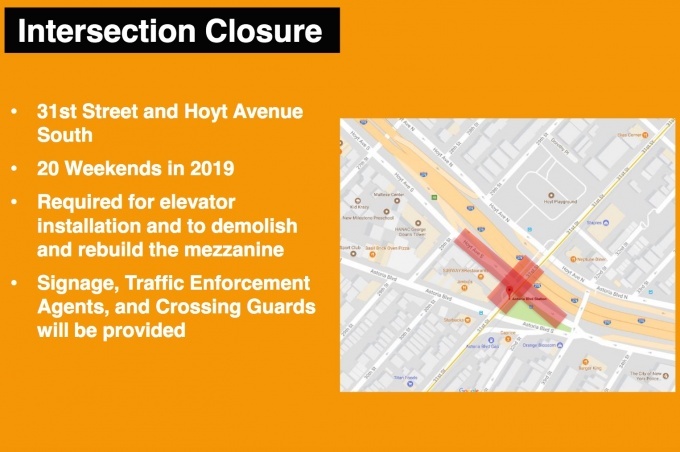 Wow that will be a headache but is much needed because that station is in a horrible state of disrepair and is such an important connection to the M60 bus and LGA (yay elevators for luggage). That whole intersection is such a nightmare. I cross my fingers every weekday when I get off of the Grand Central and have to cut in front of traffic merging on the TriBoro Bridge. Good comprehensive Report. Now we’ll see how much reality matches up with promises. They should have waited until the construction at Ditmars Blvd station was completed. With an entire entrance being closed there are way too many people trying to go up and down those stairs! It is already a hazard – and now the overflow from Astoria Blvd. is going to make it worse! As someone who lives in the Hell Gate neighborhood, or lower Ditmars area, of Astoria near Astoria Park, I hope the city breaks ground very soon on the light-rail line, or streetcar, from Astoria to Red Hook Brooklyn. It’s been called the BQX, or Brooklyn Queens connector. And they should not stop the streetcar line at Astoria Park as proposed, but run it all the way down 21st street and then up 20th Avenue to LaGuardia airport. expect your rent to go up in the event that ever happens. That’s the only reason that BQX light rail was even proposed. The city can’t even maintain a subway system, you expect that thing to get done any time soon? Oh the horror! You mean you get something valuable and you may have to pay for it? Extend the N train to LaGuardia and paint and enforce bus-only lanes and increase bus service between Brooklyn and Queens for a better and cheaper result.